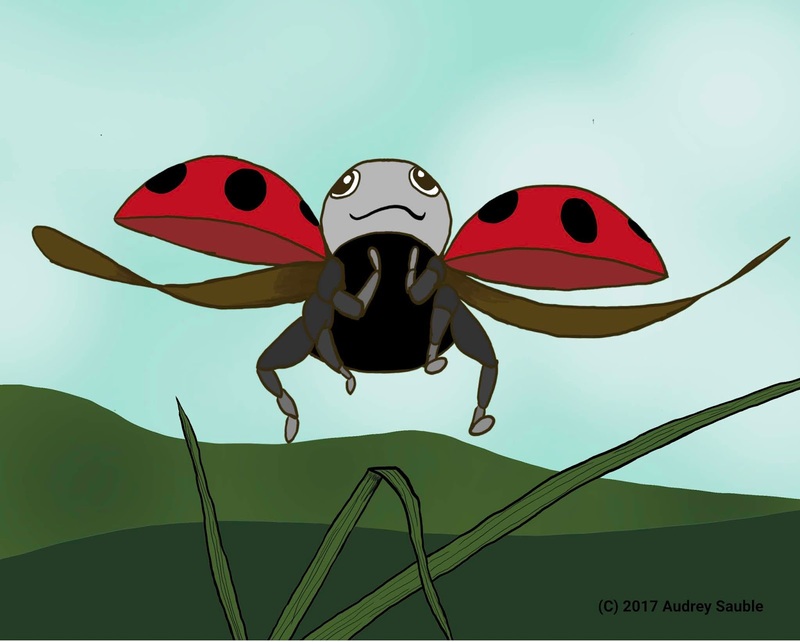 Recently, I watched a video that showed a ladybug taking flight. I’m not sure how I’ve survived this long in the Internet Age without seeing a video of a ladybug flying, but it’s incredible and crazy. Is is just me--or have you never seen before how a ladybug’s wings fold up under their shell? I think I've seen them folding their wings up again after a flight, but...wow! Seeing that video inspired me to draw a ladybug. I played around with the image, tried a new style, and used the image to create a printable coloring page so that you can color your own ladybug too. And do let me know what you think! 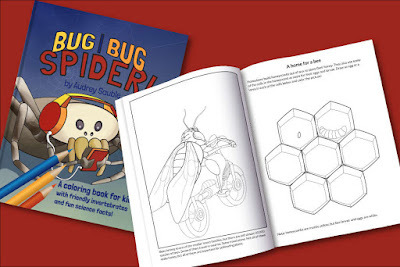 UPDATE: the coloring page in this picture became the inspiration for a creepy-crawly coloring book, Bug, Bug, Spider! This page, with a few changes, is part of the book. You can find out more here. Cute! And a very interesting way to create coloring pages.